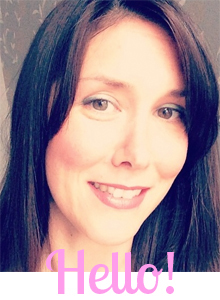 I ♥ Motherhood: Lymphatic Cancer - Be Aware. Lymphatic Cancer - Be Aware. I missed Lymphatic Cancer Awareness Week which aims to raise awareness of lymphoma, the UK’s fifth most common cancer but I figure that awareness of Cancer can take place at any time of the year as really Cancer affects most people (whether they have it or family/ friends have it) all year round. I had no idea that Lymphatic Cancer is the 5th most common cancer. Cancer has affected our family considerably in the last few years, Myeloma being the one that my Dad lives with daily, so I'll do anything to help people from living through the bad times that he (and we) regularly goes through by raising awareness of symptoms to look out for. The Lymphoma Association, the UK’s only specialist charity which provides information and support to anyone affected by lymphoma, is using the week as an opportunity to raise awareness of the disease and its most common symptoms. Lymphomas are cancers of the lymphatic system, which is part of the body’s immune system. There are many different types of lymphoma, although they are broadly categorised as Hodgkin or non-Hodgkin lymphoma. Lymphatic cancer can occur in both men and women at any age, but is most common in people over 55. It is also the most frequently diagnosed cancer in the under-30s. This is the part I find I find most scary - it affects mostly young people who may ignore important signals that their body is telling them. More than 75,000 people in the UK are living with lymphoma and over 14,000 people are newly diagnosed every year. The most common symptom of lymphoma is a painless lump or swelling, often in the neck, armpit or groin. Other common symptoms include excessive sweating (especially at night), fevers, unexplained weight loss, unusual tiredness, persistent itching, a cough or breathlessness and abdominal pain or diarrhoea. Sally Penrose, Chief Executive of the Lymphoma Association, said: ‘Although lymphoma is the UK’s fifth most common cancer, many people haven’t heard of it until they or a loved one are diagnosed. We are trying to change this, so that people will go to their GP straight away if they experience any lymphoma symptoms over a period of time. 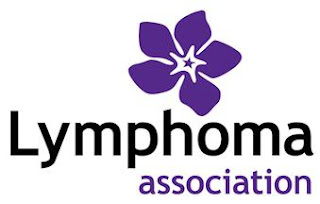 As well as raising awareness of lymphoma, the Lymphoma Association has a freephone helpline, free patient information sheets and booklets, a website with an online chat room and forums, support groups across the country, a buddy scheme which puts anyone touched by lymphoma in telephone or email contact with volunteers who have had similar experiences and conferences for patients and health professionals. If you have been affected by lymphoma and want more information, visit www.lymphomas.org.uk or call the Lymphoma Association on 0808 808 5555. Noah's Cow and Gate Filming Adventure! See Ben and Holly Live - Family Ticket Giveaway! Me Time - Part 2 - Girls Mini Break! Me Time - Part 1 - The Paraolympics!